Do it yourself storage shed kits. Wood, vinyl, metal and plastic storage sheds. Storage sheds are perfect for keeping your yard and garage stuff organized and storing all of your gardening supplies, mowers, weed trimmers, bikes, pool equipment, kid’s toys and other outdoor accessories. Outdoor storage sheds are key to keeping your yard looking neat and tidy. Sheds are great to use in pool areas, backyards along side your garden or any other location where you want your stuff to be secure and protected from the elements. Storage sheds are typically a simple, single-story structure for a backyard or garden and are used for tool storage, hobbies, or as a gardening workshop or studio. Storage sheds are sometimes referred to as tool sheds. Storage sheds are made from three basic groups of materials. Most do it yourself storage shed kits come with all the parts cut and labeled. The only things required to build most shed kits are a few hand tools. Most storage building kits can also be easily assembled by a novice carpenter or handyman as a weekend project. Some storage sheds such as panelized kits and other larger storage buildings will require more than one person for assembly. It is a good idea to have a team of at least two persons to assemble the kits in a safe manner. Storage shed kits are easy to build, but if you feel it is beyond your ability, you might consider hiring a local carpenter or handyman. The larger storage sheds can be used as cottages, camps, hobby barns, workshops, farm stands, a small retail business, or even attached to another building as an addition. Metal storage sheds are commonly made of aluminum or galvanized steel and are often coated with a baked enamel or vinyl finish. Metal storage sheds are some of the least expensive sheds you can buy. The do-it-yourself metal storage shed kits are also easy to assemble. Steel sheds are very affordable, but over time they will rust, check if the manufacturer offers a warranty against rust. Aluminum sheds are less likely to corrode, but are more expensive than the steel sheds. Wooden storage sheds are the best looking, easiest to design, build and customize. Are you looking for a new storage shed for your home backyard and don't know where to start? Trying to figure out exactly what you need/want, and getting it in your price range can be quite difficult. Here are a few simple steps to help you in your search! First things first, measure your project site to see how much room you have. There’s nothing worse than buying a new shed you can’t even use when it doesn’t fit! Check out our large selection of Storage Sheds. We have all types of storage sheds, choose from: wood sheds, vinyl sheds, metal sheds, and portable storage sheds. Whether you need a storage shed for a job site, storing gardening tools, or just to clean-up the yard, a storage shed is a great way to get organized. Free shipping on all Storage Sheds. Restockit.com: Order a shed kit online with unbeatable prices...everyday! 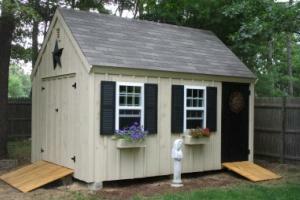 Looking for cheap storage sheds for your home or business? ReStockIt.com has the best sheds at unbeatable prices…everyday! Our popular shed models come in a variety of sizes, door opening styles, colors and designs to choose from. Order a shed kit online from Betty Mills. Free shipping on sheds. Betty Mills has handled over 150,000 residential and business shed deliveries and has extensive relationships with the world’s leading shed & outdoor storage manufacturers, ensuring that you will experience a trouble free transaction. Glenwood sheds by Arrow Sheds feature a steel frame and easy to assemble tongue and groove pine wood siding. Tall 6 feet high walls for easy access and more head room. Durable hot-dipped galvanized steel frame. The Strength of a steel frame with the beauty of ready to stain pine wood. Extra rigid honeycomb backed doors. Backed by a 12 year limited warranty. Pine wood walls can easily be stained any color to match your house. The roof color is Forest Green. Smaller garden and storage sheds. Metal, resin, vinyl and wood sheds under 50 square feet. 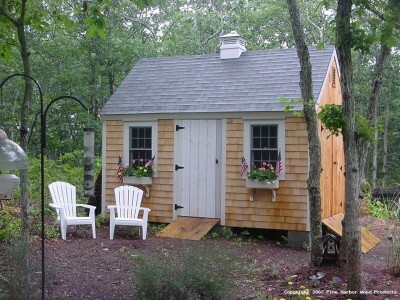 A smaller shed may be needed due to space constraints, permitting or deed restrictions. Some of these small slant roof (or shed roof) storage sheds are designed to fit up against a building, wall or fence. Lifetime sheds feature double-wall, steel-reinforced construction and steel roof trusses. Lifetime offers popular polyethylene storage sheds. They offer a wide ranges of sizes from a small 8’ x 2.5’ shed to the Sentinel 11’ x 21’ shed. If you are looking for fully customizable storage shed kit, Lifetime storage sheds are expandable, visually appealing and durable. DuraMax Sheds are strong, durable and low-maintenance. High quality materials and a superior warranty. Duramax vinyl sheds and garages range from the 4’ x 8’ Sidemate all the way up to their 10’ x 30’ garage. They offer a broad range of storage solutions from small storage sheds to a large garages and workshops. Exterior is vinyl panels with galvanized steel framing in the floor kit, wall studs and roof structure. Build your own post and beam building from 6' x 8' up to 12' x 24' and beyond. 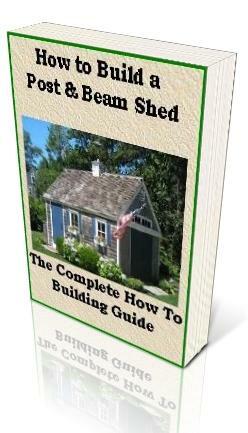 110+ pages based on 30+ years of post and beam shed construction experience. Carport Kits ~ Wood, Aluminum, Steel. What’s the Deal? Storage Sheds and do it yourself DIY storage shed kits, carports, and other outdoor storage sheds and buildings.